“Softball is an outdoor sport…we want to be outside,” said Jennifer Lane, the Cardinals’ head coach. There’s no blaming Lane or the team for their complaints, as they have had eight games rescheduled and another two canceled, as well as numerous indoor practices in the 2018 season as a result of the weather. Despite the weather-based challenges, the team has maintained a nearly .500 winning percentage (14-15 overall) and recently scored a bid into the upcoming NESCAC Tournament. The buildup to the bid began with a three-game matchup against Hamilton. On Friday, April 20, the Red and Black hosted the Continentals at home, starting with a 1-0 Hamilton lead in the top of the first. Wes waited to respond until the bottom of the third, but when the Cardinals started swinging, they had trouble stopping and put up a nine-run inning. Olivia Gorman ’19 began with a single to the right, which was followed by singles from Rachel Curran ’20 and first-years Maddie Ikeda and Brenna Monroe. Hamilton attempted to fight back with a run in the fourth and four runs in the fifth, but couldn’t seal the deal and left the field in a 9-6 defeat. On the defensive side, pitcher Maria Noto ’21 aided the Cardinal win after entering in the bottom of the fifth. With Hamilton just barely trailing the Cards, Noto didn’t allow any runs on three hits in the last two innings and recorded three strikeouts. Fellow pitcher and captain Julie McDonald ’18 gave up four runs on five hits in four and two-thirds innings, striking out two players. Offensively, Monroe and Kendall Carr ’19 dominated, going 2-for-3 with an RBI and run and 2-for-4 with a run, respectively. The face-off against Hamilton continued at home on Saturday, April 21, when the Cardinals honored their two senior captains, McDonald and Rielly Weiners. These two women are extremely valuable members on both sides of the team: McDonald leads the 2018 squad with a 2.12 ERA and 70 strikeouts, while Wieners claims two home runs and 15 RBIs. The team rewarded the seniors with a victory in the first matchup of the day. Although Wes trailed the Continentals 4-0 in the second inning, Wieners and Marina Williams ’21 decreased the deficit to 4-2 with no outs. 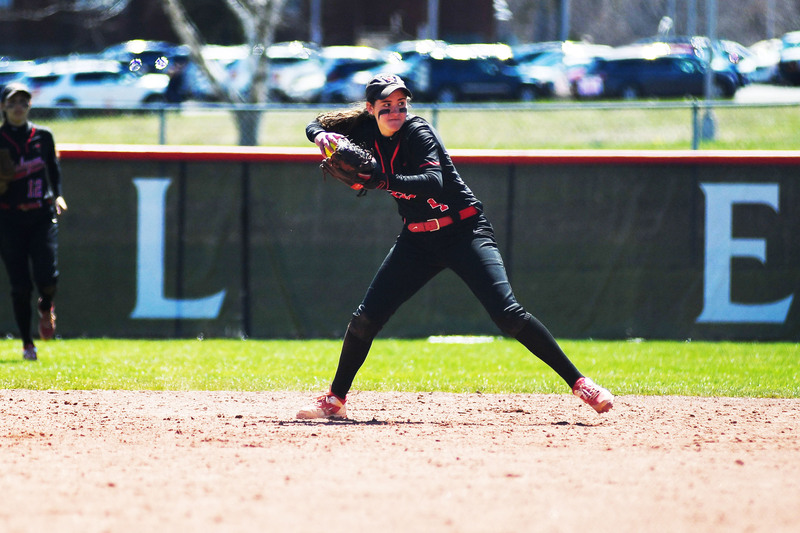 The Dirty Birds continued their offensive push with three runs in the third: Danielle Rinaldi ’21 led off with a triple, and the Cardinals quickly loaded the bases before a walk from Ikeda brought Williams home. Now tied with Hamilton, Gorman drove a single up the middle to take a 5-4 lead. Hamilton responded in the fifth to tie up the game once again, but the Cardinals were not satisfied, tallying a four-run effort after the changeover. Ikeda sealed the deal with a two-out, three-run triple. After their 9-5 win, the Cardinals lost some energy as they went into the second game of the doubleheader. The Continentals picked up speed early with a 3-0 advantage by the third, but the Red and Black responded with a three-run effort in the bottom of the third with a double and run from Monroe and scores from Rinaldi and McDonald. The tie was broken an inning later with an offensive surge from Hamilton, taking the lead to 7-3. Carr attempted to start a comeback in the seventh, but her RBI to score Wieners was only good enough to end the game 7-4. 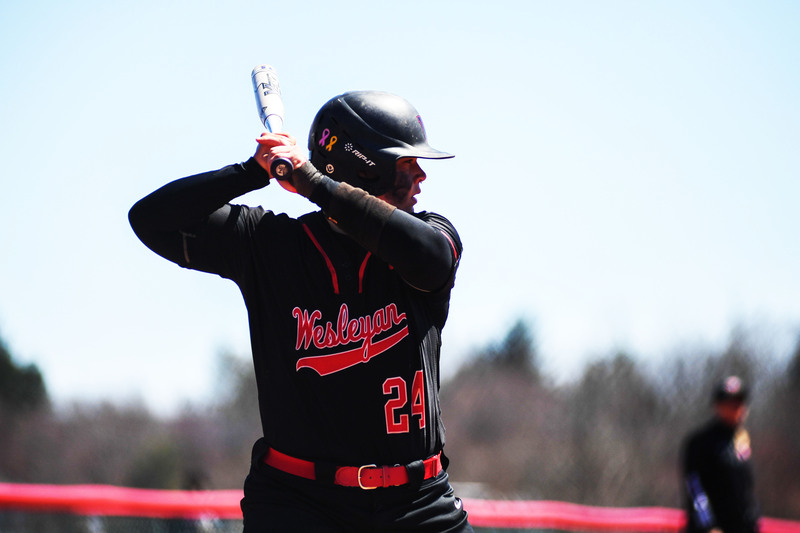 After the three-game matchup, the Cardinals sat in a three-way tie with Hamilton and Middlebury for the third of five slots in the NESCAC West Division. Only the top four qualify for the tournament, so the four remaining conference games were critical for the Wesleyan team. While Hamilton left to play Amherst, the Red and Black faced Middlebury in a doubleheader on Saturday, April 28. In the first faceoff, the Panthers took a 1-0 lead until Wesleyan tied the game in the fourth with a single from Williams and a triple from Carr. However, the solitary run was all the Redbirds would get on the scoreboard as Middlebury took three runs on three hits and finalized a 4-1 win in the sixth. The second game of the day mirrored the start of the first, this time the Cardinals taking a 1-0 lead in the first until Middlebury tied the game in the third. The Panthers’ scoring dramatically increased with a 4-1 lead in the fourth, and an eruptive 8-1 lead in the fifth with four runs on three hits. After a 30-minute rain delay, the teams came back to a scoreless sixth and two-run effort from Wes in the seventh, ending the game in an 8-3 defeat. Despite the team’s loss, two first-years were awarded for their individual success with NESCAC honors. Monroe took the title of Player of the Week with two doubles, six RBIs, and four runs, scoring a game-winning double earlier in the week against Trinity and a multi-hit game against Hamilton. On the defensive side, Rinaldi earned Pitcher of the Week, edging out Trinity 6-0 and leading the Cardinals to the 9-5 victory over Hamilton with 11 strikeouts in seven innings. The team will need Monroe and Rinaldi as they move on to the NESCAC Tournament, narrowly taking the fourth spot in the division after Hamilton’s three-game loss to Amherst. The squad’s first matchup comes this evening, Friday, May 4, against Tufts. The Jumbos hold the first-place title in the NESCAC East. Despite Tufts’ success this season, Lane is staying positive moving into the postseason.